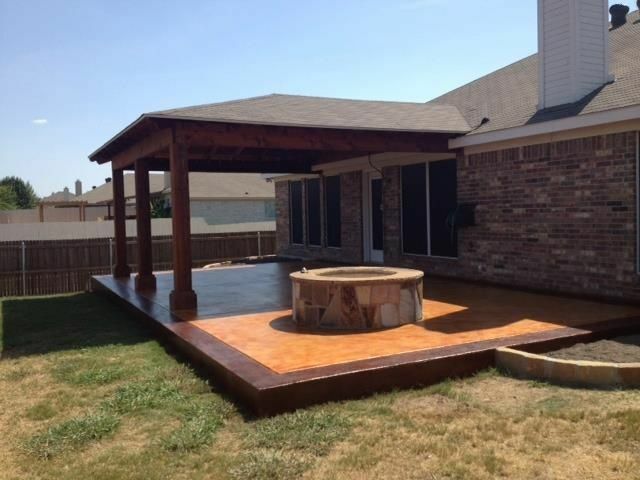 GroundScape Solutions, a Fort Worth Landscape Company Installs Covered Cedar Patio, Stained Concrete Patio & Fire Pit. Call now to schedule a free consultation to discuss your Custom Outdoor Living Area. 817-759-0102 www.groundscape.com.